When an unforeseen issue or situation interrupts your financial stability, you may need immediate help. During these stressful situations, many people often struggle to find the best solution for the help that they need. 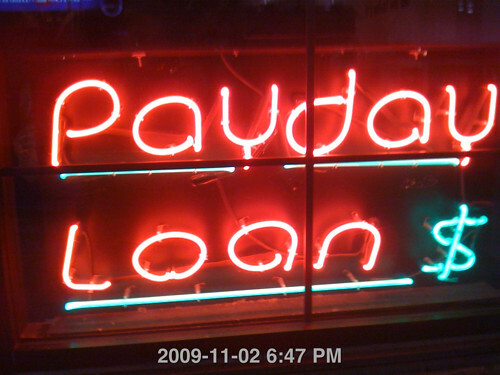 In addition to debt settlement and title loans, there is a more subtle solution: a payday loan. If you’re struggling and need immediate financial aid, read on to learn about payday loans and how they can be of help. A payday loan is essentially an advanced paycheck—it’s a convenient, short-term loan that substitutes your paycheck. It generally helps those who may need to deal with an urgent situation before they are paid. By borrowing from a direct lender for a short period of time, they are able to tend to their immediate needs. Payday loans are one of the most popular types of loans, in that they are simple, quick, and highly convenient. Furthermore, the fact that payday loans don’t require an exhaustive credit check makes it even easier to qualify. There are several requirements necessary to qualify for a payday loan. Whether it’s verifying that you are over 18 years of age with an active bank account to submitting proof of a steady income, these qualifications are generally easier to meet than bank loans. Additionally, a valid government-issued ID is also required in the event that lenders need to reach you. Loan amounts differ depending on the county and state. For example, Washington state allots the maximum loan amount as $700, or up to 30% of your gross monthly income. It’s important to research your local and state policies regarding loan amounts first. Since loan amounts can be minimal and the loan periods are short, lenders can charge up to 15% fee on each loan, which is roughly equivalent to 400% APR. While the percentage varies from state to state, most fees are a very large percentage of the loan amount. However, given that the loan is short-term, the APR does not directly apply to the loan. Payday loans also have very strict rules concerning the loan period. In some states, the loan period cannot exceed two weeks, whereas in others, borrowers can have up to 45 days to pay back the money. Be sure to carefully read all regulations concerning loans in your state to avoid being penalized or fined. Verify the license of the payday lender. Contact your state’s registry of financial institutions to verify that you are dealing with a licensed lender. Borrow only what you can afford to repay. Your next paycheck should be able to completely pay back the loan. Don’t borrow from more than one lender. You may complicate matters by simultaneously taking out two loans. In fact, it’s illegal in some states to have two concurrent payday loans. Pay the loan on time and in full. Late payments may result in additional fees, nullifying the convenience of a payday loan. Ask for help from other organizations. There are many local organizations that offer help with credit repair, budgeting, and debt repayment. Contact a consumer credit counseling service for more information on organizations in your area. Create a budget. Avoid future financial problems by setting a realistic budget and putting aside money each month just in case. Although payday loans are convenient and short-term financial solutions, it’s best to consider other methods of financial freedom if you’re dealing with an extensive amount of debt. Those in substantial debt would benefit more from debt settlement negotiation or debt consolidation. Companies like Financial Solutions of America can negotiate your debt directly with the creditors to bring it down to payable sum, making financial stability a plausible option. Many debt settlement companies offer a free initial consultation, so it’s usually low-risk to test the waters. Whether you are heavily in debt or just temporarily low on funds, there are many businesses that offer both short-term and long-term solutions. However, the most important aspect of fixing your credit score or repaying your debt is learning how to make financial stability a habit. By properly taking advantage of the resources available, you can finally reach your financial goals and get back on track. No Replies to "Learn About The Different Aspects Of Payday Loans"